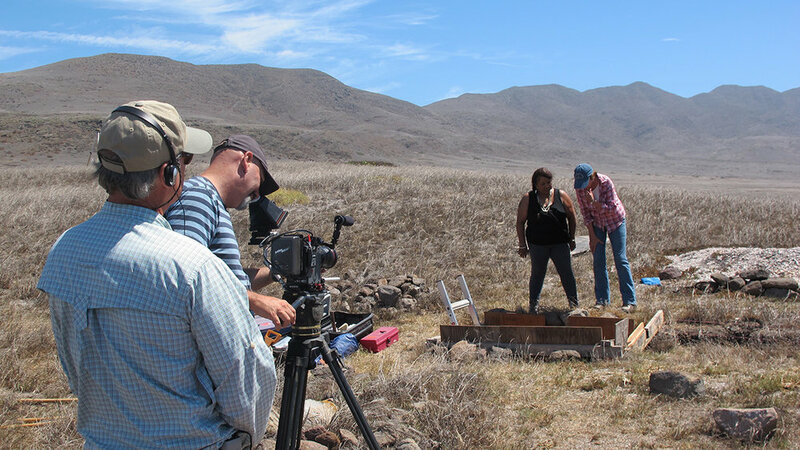 The Tale Once Upon a Time reveals the work of Professor Lynn Gamble and her colleagues as they excavate a site on Santa Cruz Island known as El Monton. El Monton is the largest extant shell mound in the Santa Barbara Channel. It contains over 43 house depressions, more than any other archaeological site on the Channel Islands or the area mainland. El Monton was occupied 6000 – 2300 before present time. It features red abalone shells, a large rock oven, and burned house deposits. As Professor Gamble returns to the site year-after-year, much is learned about the early inhabitants. This leads to more information and an indication of how archaeology is answering intriguing questions about when people first came to the Americas from Asia. Santa Cruz Island, the largest of the Channels, holds sites scattered with ancient tool-making debris and the shells. The youngest of the three such sites has been dated to 6,600 before present, but based on the types of tools found at the other two, archaeologists say they may be as much as 11,000 to 12,000 years old. 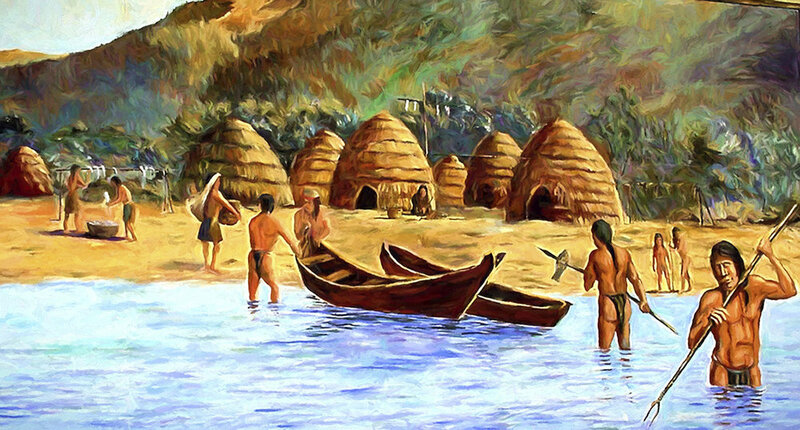 When did the first modern humans arrive in the Americas? And did they initially spread south from Siberia by following ancient Pacific shorelines that are now covered by water? Until recently, it was widely believed that Asia and North America were linked by a “land bridge” across the Bering Strait during the last Ice Age, when the sea level was hundreds of feet lower. The bridge, which is now covered by water, connected Siberia to Alaska and northwestern Canada. In the 1920s and ’30s, stone spear points were discovered near Clovis, N.M., drawing intense interest from archaeologists. Scientists decided that these “Clovis points” were part of hunting spears used by the first settlers. The thinking was that the settlers had traveled from Siberia into Canada, then moved southeast through an opening in the ice sheets, reaching the interior of North America. 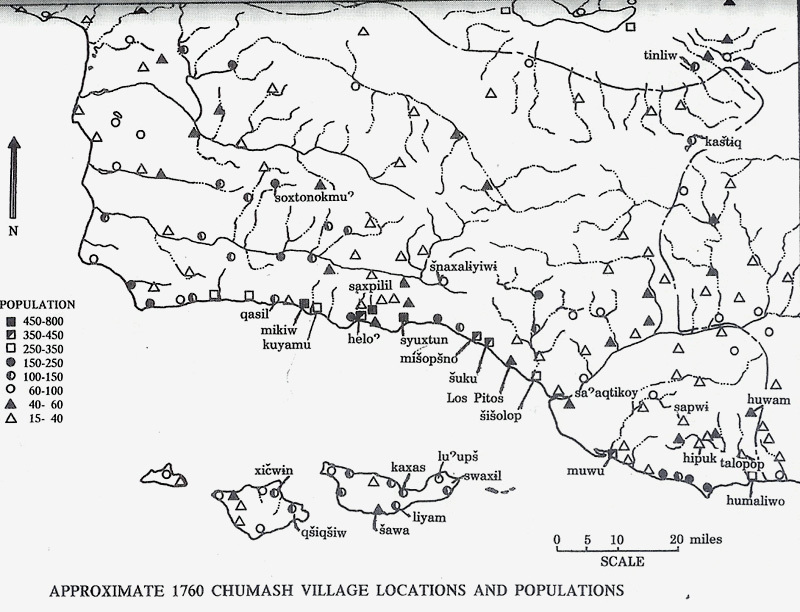 It is the foundation of the Clovis First theory, which asserts that the settlers arrived about 13,000 years ago. The theory became dogma as artifacts from Clovis culture were found in other parts of the Americas. But the theory slowly began to unravel in the 1970s when Professor Tom Dillehay identified artifacts from a human settlement in Chile. Dillehay determined that the artifacts were at least 14,000 years old, predating Clovis culture. 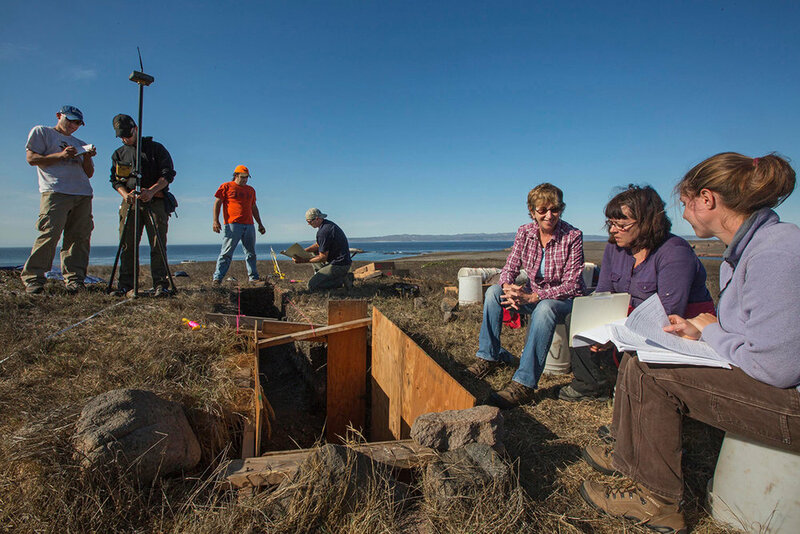 The findings include a site in southern Oregon that some scholars see as possible evidence that the “First Americans” originally traveled south along the Pacific coast, by foot and by boat. The Tale Arlington Springs Man contains clear evidence of a coastal migration that challenges, and probably pre-dates, the Clovis Theory. 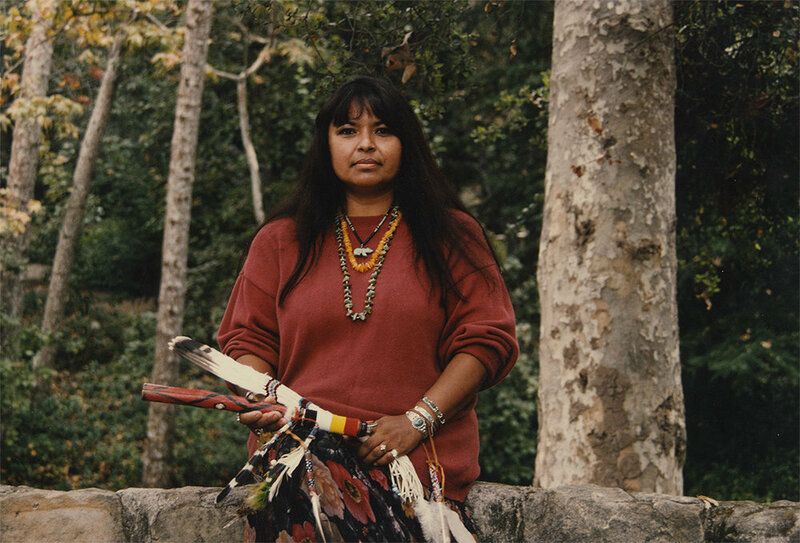 The work explained in Once Upon a Time reveals the life of post-Arlington Man … ancient peoples who have populated The Channel Islands for millennia, developing a sophisticated Island Chumash culture, and, through descendants like Julie Tumamait-Stenslie and Gilbert Unzueta, giving us an understanding of why it is important to dig, reflect, and learn.